"It's easy to give advice. The hard part is learning to take it ourselves." 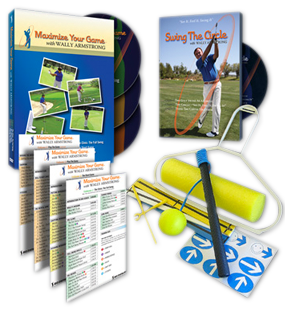 "I could harp on this subject for a long time, because I am thoroughly convinced that thousands of golfers today have had their game hopelessly ruined by neglecting simple first principles." "Don't let the bad shots get to you. Don't let yourself become angry. The true scramblers are thick-skinned. And they always beat the whiners." "If you don't know the distances you hit your clubs — and most golfers don't — then you're giving away a lot of shots on the course." " Away with your tips, and show me your reasons." "Those who strive to teach must never cease to learn"
"A consistent pre-shot routine is a key to creating a snes of confidence." "The best way to lower your score is to work on your game from a 100 yards in." "If you're serious about improving your play, be brutally honest with yourself." "Hogan was the master at course management — using one shot to set up for the next ... the ultimate chess player on the golf course. ... He played one shot at a time. The hole he was on was just 1/18th of a round." "The good player swings through the ball while the awkward player hits at it." "The basic factor in all good golf is the grip. Get it right, and all other progress follows." "The better you know the rules, the better you can use them to your advantage when you play." "Instead of trying to maneuver the ball with your body, arms, and hands, trust your swing and the club you select for the shot."